How A Healthcare Administration Degree Can Advance Your Career. Most all of us have heard the radio commercials or have seen the Television commercials advertising schools that train people to enter the Healthcare field. In the past several years there has been an increase in the elderly population which also equates to an increase in the need for healthcare services. It is definitely no secret that healthcare is a growing field. The more the healthcare field grows, the greater the need for healthcare managers and executives. The U.S. Bureau of Labor Statistics notes that the job outlook for healthcare managers and executives is growing much faster than the average of other fields2. That provides a great opportunity for career advancement. Those individuals that are willing to do the work needed to get such a position will be more likely to get one. One of the easiest things someone interested in getting a management position can do is to obtain a healthcare administration degree. 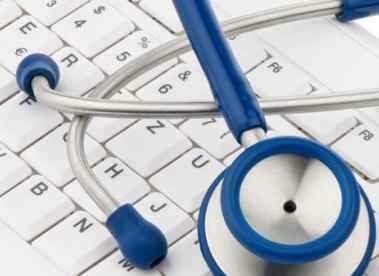 A healthcare administration degree is the basic building block of a management level healthcare career. There are many different levels of managers and executives in the healthcare management structure. The beginning level of management is that of a Team Lead. A Team Lead will be in charge of small groups or small parts of projects. To get a Team Lead position most organizations will require that you have an associate's degree as a minimum prerequisite. Preference is typically given to those individuals that have an associate's in healthcare administration. The next level in the management chain is typically a manager. These managers will be in charge of whole projects or large groups of employees. These positions will almost always require that the applicant have a bachelor's degree in healthcare administration. The greatest level in the management chain is that of an executive. Executives will be in charge of whole departments or multiple departments. These executive level positions will almost always require a Masters level healthcare administration degree at a minimum. Along with advancement into and through the management levels of the healthcare field, a healthcare administration degree will benefit you through an increase in salary. The salary range of someone with a healthcare administration degree begins around $40,000 per year. As you progress through the ranks of management and the levels of healthcare administration degrees, your salary can increase to an average of $110,000 per year3. The more you advance up the management chain, the higher potential salary you can get. Some of the highest positions can pay in the mid $200,000 pay range1. There is quite a benefit to going back to school and obtaining your healthcare administration degree. Another benefit of advancing your career with a healthcare administration degree is the increase in benefits you may get from your employer. Most employers have different levels of benefits that are provided to employees based on the number of years of service you have been with the company and sometimes they have a completely different scale based on being a management level employee. This different scale can provide you with more vacation time and other job perks. All of these by having a healthcare administration degree and being willing to advance through the management ranks. Everyone knows that becoming a manager in a healthcare organization comes with an increase in responsibilities and work. It also comes with great benefits such as more opportunities for advancement, increases in salary, and sometimes an increase in benefits. All of this starts with getting your healthcare administration degree. So what are you waiting for? You should begin your path to a management level healthcare administration job today. What Associations Can A Healthcare Administrator Belong To?